Trailing perennial producing ascending purple stems. 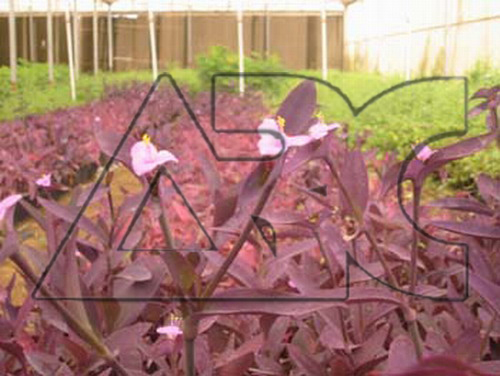 Large, pointed, narrowly oblong leaves, V shaped in section, fleshy, hairless, rich violet-purple. In summer, bears bright pink flowers in paired, terminal cymes. Leaves color best in bright sunlight and when the root zone is slightly dry and cramped.